One of the many great activities that Long Islanders enjoy to take part in is anything related to water sports. Surfing, windsurfing, boating, and fishing have always been popular on the island and an increasingly popular water sport is parasailing. Parasailing, or paragliding, is a kiting activity where a person is pulled by a vehicle (usually a boat) attached to a parachute. This is an activity which should be done with professionals for the assurance of safety. 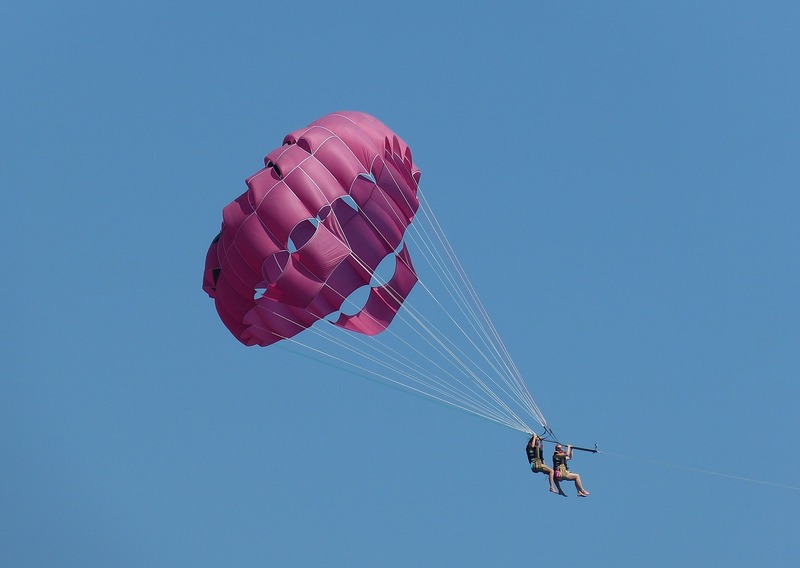 Depending on the weather and wind, you may or may not be able to parasail when you want to. There is a lot of preparation for parasailing and it might take days or weeks to fulfill a class or safety training depending on who you go through to parasail with. There is a three person minimum for this activity. An observer, operator, and the person parasailing. If something does happen, there will be two other people available to help. No towing can take place during sunrise and sunset. All those who are being towed need to wear a lifevest. Boats that are involved with parasailing receive no special accommodations and must follow all rules of the road. All parasailing must be away from the shore. So if you're looking for a truly adventurous way to spend the day, be sure to check out parasailing when the weather is nice!